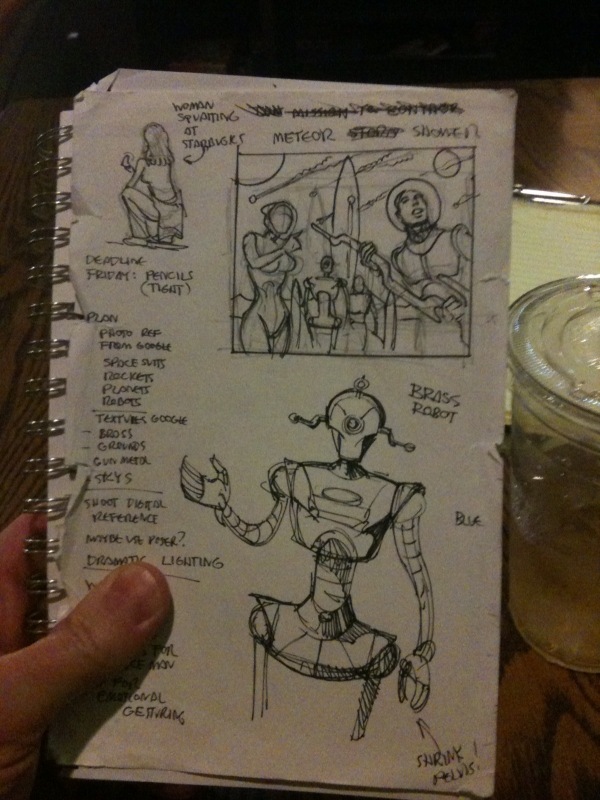 Sketchbook: Sketching at the coffee shop. I sometimes hang out in the coffee shop on Cherry Street, in Tulsa. I don’t like coffee so I usually get some iced tea and a cookie. Here I’m messing around with Man-Frog. As in “The Uncanny Man-Frog” that this very blog is named after. A digital comics sight is interested in publishing him. I want to update him a bit, but this look isn’t working for me. 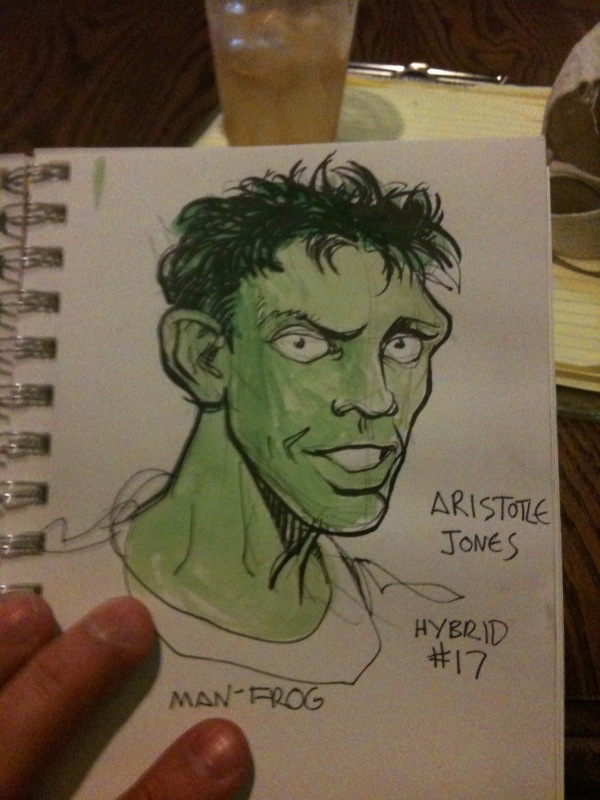 Man-frog’s real name is Aristotle, by the way. Here’s an idea I had, ( probably inspired by the sugar high from the chocolate chip cookie) Get a bunch of two foot square canvases and do these pop art portraits. 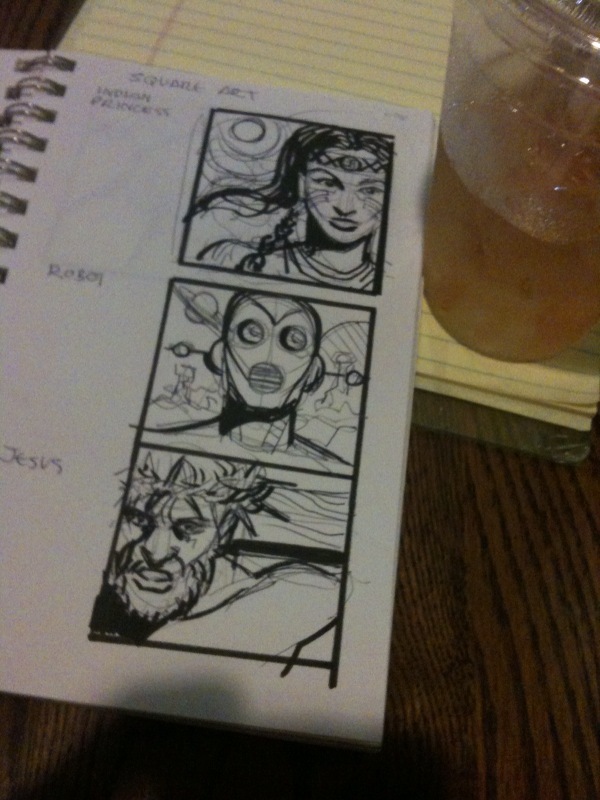 Sketched out are a Cherokee Princes, Retro Robot and Jesus. 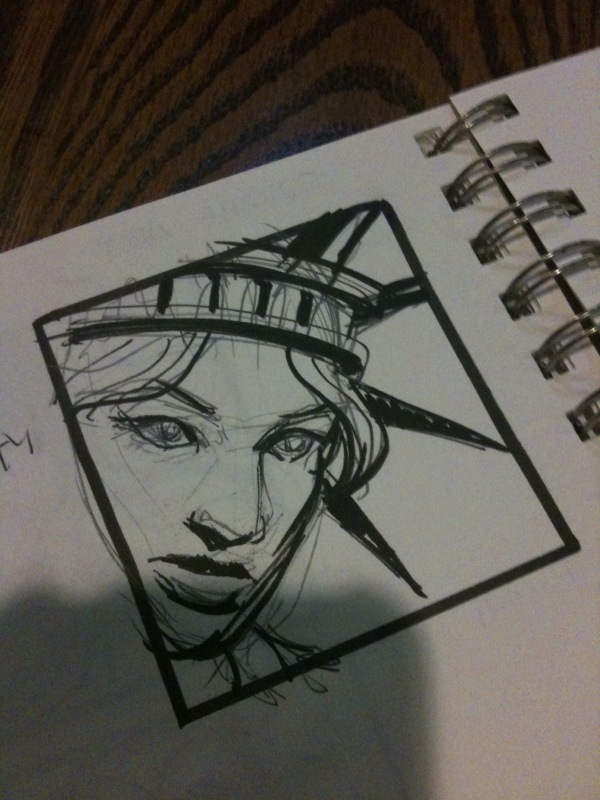 Coffee shops are the perfect environment for sketching. 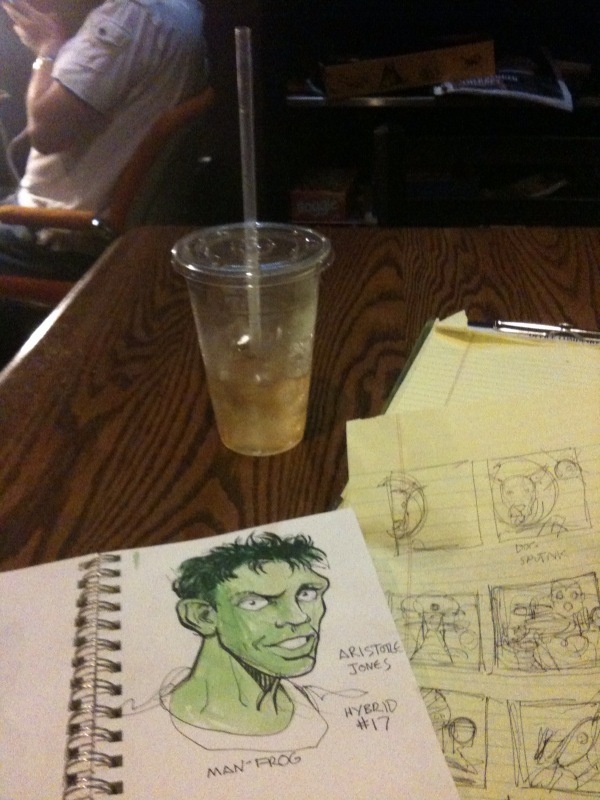 Food, drink, music, and people to praise you for your sketching. Is that narcissistic?